As a leading small music charity in a climate in which funding for music education is under increasing pressure, the VCM Foundation depends on the generosity of our Friends to help us achieve our ambitious goals to inspire communities across the world through music. We receive no regular public funding and contributions from our Friends make a vital difference to our programme of much needed activity. Download our VCM Friends Membership Form. We are extremely grateful to our current VCM Friends. 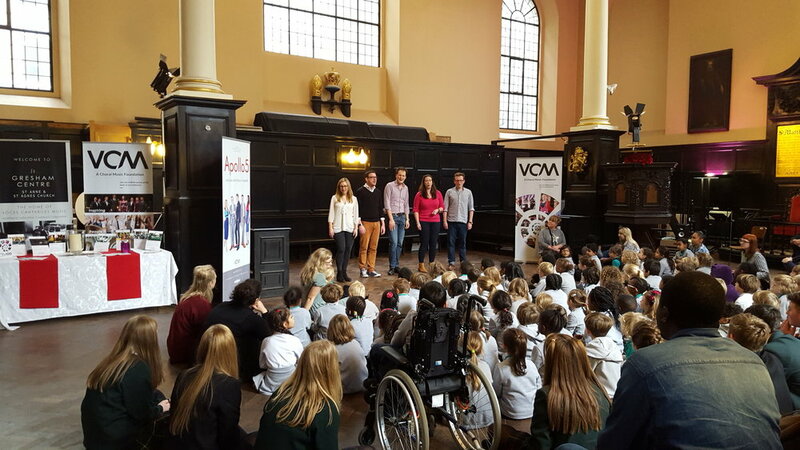 By supporting the VCM Foundation, you are helping VOCES8 and Apollo5 bring performance excellence to over 100,000 people in live concerts each year, as well as contributing to our continued efforts to work with and improve the lives of young people all over the globe. Both nationally and internationally, we are working across a wide range of ability levels providing much needed sustainable support for school students, teachers and aspiring young professionals. The VCM100 offers the opportunity to invest in our future and to hear our plans at closest quarter as they come to fruition. Together we can celebrate and nurture our efforts to increase the access to high quality music for everyone.